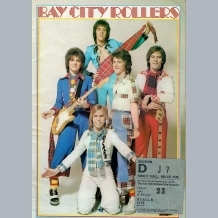 BAY CITY ROLLERS ; Scottish tartan-clad teenybop group who created "Rollermania" hysteria in rising to worldwide fame with a string of hits during the 1970s. 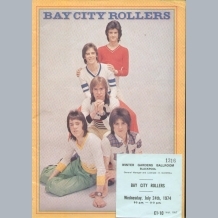 Their first single "Keep on Dancing" (1971) reached No9 in the charts produced by Jonathon King. 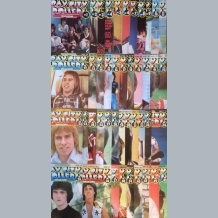 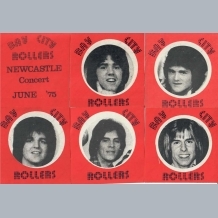 It was two years later in 1973 before the classic lineup of the group (Les / Alan / Derek / Woody and Eric) were to repeat this success with hits ; Remember and Shangalang. 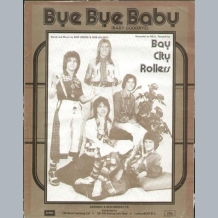 1975 was "their year" with the classic "Bye Bye Baby" No1 for six weeks in the spring (selling over 1 million copies) and follow up "Give A Little Love" reaching No1 during the summer. 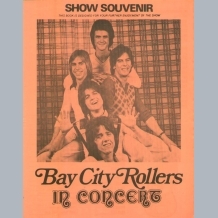 They also scored a rare US No1 hit for a British group in 1976 with "Saturday Night". 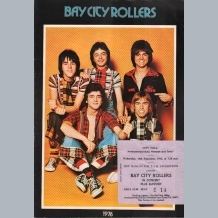 Between 1973-1978 the Bay City Rollers sold over 100 million records including eleven UK Top 10 singles. 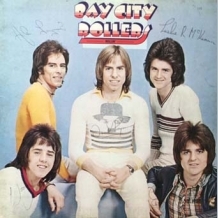 The strain of success started to take its toll on various group members by 1976 with founding member Alan Longmuir leaving to be replaced by 17 year old Ian Mitchell. 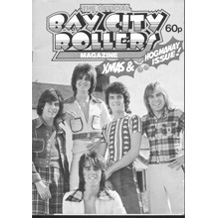 The group slowly and controversially imploded, finally splitting in 1978, when both Les and Eric left supposedly to pursue solo careers. 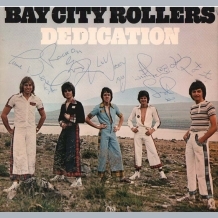 During the following decades, there has been some acrimony between the group members over rights issues and various court cases concerning unpaid royalties (thought to be worth in excess of 30 million pounds).